This is the summary of consumer reviews for Intex Floating Recliner Lounge. The BoolPool rating for this product is Very Good, with 4.20 stars, and the price range is $19.97-$32.06. Very comfy lounge chair, could sit in this in the river all day! We bought two of the Intex floating lounge chairs for our pool a few months ago. The lounge chair has two sections, the main section is the chair from head to toe, and the other is the arm rests which is shaped like a "U" wrapping around the back of the chair giving it more stability. They keep your entire body out of the water however so don't buy these if you prefer being slightly submerged while sitting. It keeps my 200lbs floating just above the water and has two cup holders, perfect for that pool day beverage. So overall I'd buy this for the purpose of sitting comfortably on your pool and enjoying a beverage. The main part of both chairs are fine, but the arms separated from the chair body at the two attachment points (directly under the handles), causing the arms to deflate. Also the two piece design of the raft leads me to think that the blue arm rest section could separate from the white high back chair. And the drink holders worked well also. They came with 3 (2 for the arms/1 body)air chambers. The arms don't hold you up. Instead one arm broke off 1 week after and the other the second week. The newer 3 chamber model is worthless - the two arm chambers separate in back and don't hold the back up. I used this 3 times, and then one of the arms broke off when my husband tried to get into it. I bought this before at Costco and the arms broke off just like the reviews say. This was a great raft for about a week then both of the arms ripped off. The arms are split in the back which makes you recline flat. I ordered two of these and one arm aready has been ripped off while the other one has a tear in the seam. This float is amazingly comfortable and seems to be very durable despite being inflatable. This float is strong and actually really comfortable! This float is made of very durable vinyl. This float is very comfortable, and relaxing to use!! Holds air well and very durable. This float is durable and holds the air, unlike a very pricey float that I bought last year that'd a leak from the start. I love, love this float. This's the best / comfortable pool float yet. This float is pretty comfortable. This's a larger float than most float lounges, but has great stability in the pool. I've always used my pool for r&r rather than exercise, so I consider myself a pool float/raft expert. INTEX Floating Recliner Lounge Float w/Cup Holders. 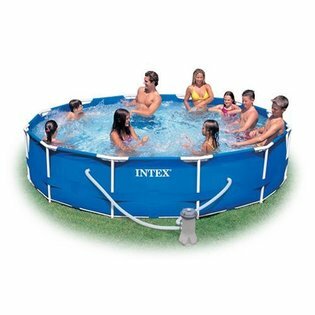 It's one of the most comfortable floats I've owned & would recommend it for anyone who just likes to float around & enjoy the pool. This's the most durable float we've owned for use in our pool. Overall for a pool float that I expect to last a season or two of hard use, the price and quality seem adequate. If you've a pool this float is a MUST..
we've a large pool but a pool under 20' I think this'd be too much float. What an excellent pool lounge! 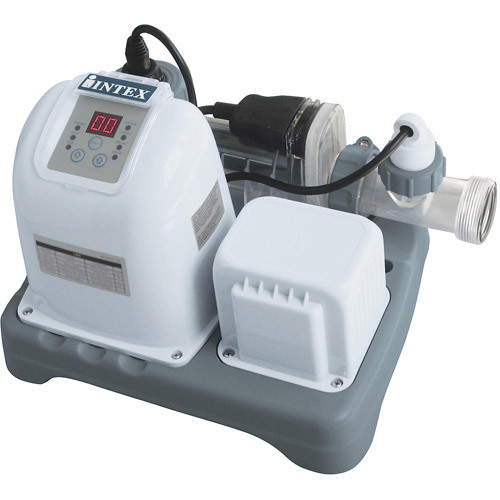 I bought this for my intex pool outside. We ordered two for the pool. I love to sun in the pool with a book and a drink. Well made, comfy, great for a lazy day in the pool. They're durable some neighbor's kid jumped on them the whole time one pool day, it never let out any steam. It's so comfortable for floating around in the pool. 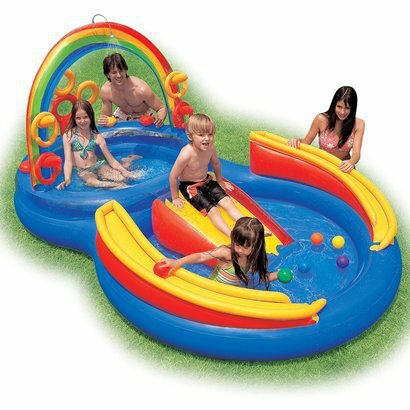 i took this to my sisters above the ground pool and found that the kids love to use it as well as adults!~.